Nearly all women love wearing pants as they look elegant and suit all kinds of occasions - from work to a casual outing. One of the most popular style of pants are dress pants. They can vary from business casual to business formal dress pants, and are also a good attire for social gatherings or evening parties. 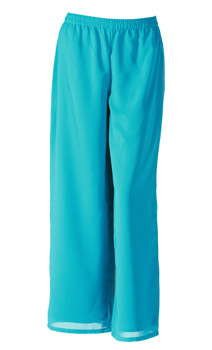 Dress pants for women come in all kinds of styles and fits. It is advised to try on different styles of dress pants, preferably the ones which have the potential of being altered, before finalizing on one. Following are some useful tips, if you are looking for a pair of no-nonsense dress pants that are classically tailored. Hopefully they will enable you to eliminate some unnessory options, before even trying them.